There are few certainties in this business but the idea that we wouldn’t see the best of Australia’s progeny until their three-year-old season was undoubtedly one of them. Australia was a fine two-year-old, classy enough to inflict a six-length beating on Free Eagle in the Golden Fleece Stakes at Leopardstown on his final juvenile start. But that campaign evolved with his three-year-old career in mind, as would be expected for the product of two Epsom Classic winners, and he duly came into his own the following year for Aidan O’Brien, when victories in the Derby, Irish Derby and Juddmonte International crowned a championship season. Five years on and supporters of Australia would have to be encouraged by the promise shown by his first runners, even allowing for the fact that he has received greater opportunities than many of his contemporaries. For starters, he has Ballydoyle firmly in his corner, and indeed it was O’Brien who saddled three of his most promising colts, Broome, Sydney Opera House and Western Australia, to be Group 1-placed during the back end of last season. 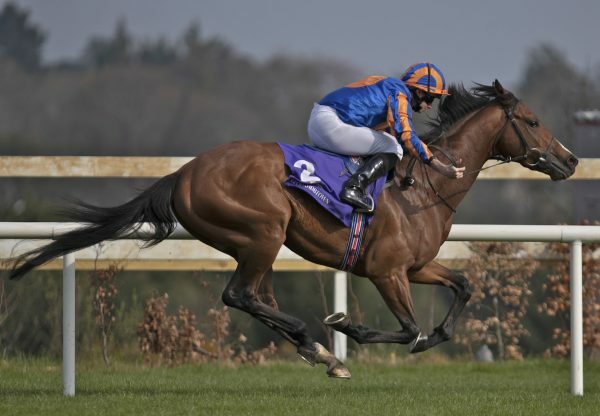 Another Ballydoyle inmate, I Remember You, landed a Leopardstown nursery in late October. Ballydoyle isn’t alone, however, in housing a smart Australia. 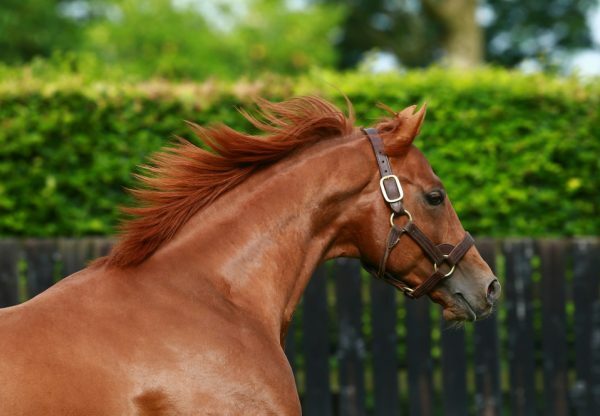 The stallion’s first European winner arrived last June courtesy of Godolphin’s Beyond Reason, who went on to win the Prix Six Perfections and Prix du Calvados. The Sir Michael Stoute-trained Almania and Ed Vaughan-trained Ardiente, both of whom are among a clutch of promising maiden winners for the horse, also hold Guineas entries. Australia ended 2018 as the sire of 17 first-crop winners across Europe. He couldn’t touch No Nay Never in terms of prize-money but his own haul of close to £500,000 was enough to place him in second on the leading European first-crop sires’ list narrowly ahead of Charm Spirit. The next seven days in particular, during which Newbury’s Greenham meeting and Newmarket’s Craven week take centre stage, will shed further light on what the future could hold for those young stallions. However, as far as Australia and No Nay Never are concerned, ample encouragement has already been forthcoming this year, primarily via Saturday’s card at Leopardstown where the pair were represented by a stakes winner apiece. No Nay Never obviously has a strong 2,000 Guineas candidate in Ten Sovereigns but in Never No More, who lowered the colours of Madhmoon in Saturday’s 2,000 Guineas Trial, another progressive and capable string has been added to his bow. Yet it was the winning performance of Broome in the Ballysax Stakes that wound up as the card’s major talking point. 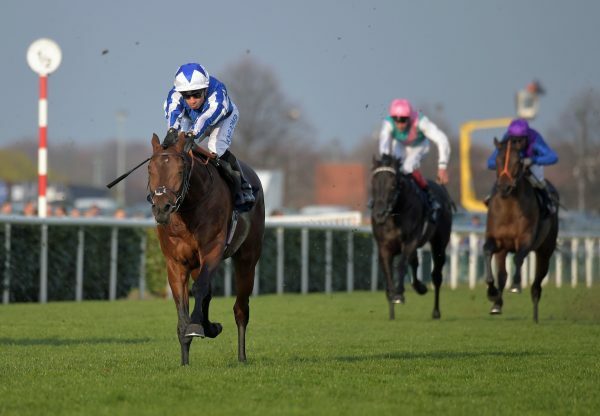 Such was the ease with which he stretched eight lengths clear of Sovereign that he was immediately clipped into 10/1 for the Derby; with improvement off that seasonal debut likely, it’s understandable that Broome would be pushed to within the top three in the Epsom betting. Not only that, the Derby picture now features another Australia colt in Buckhurst, who created a favourable impression for Joseph O’Brien when making a successful debut in the opening mile maiden on the same card. He could next be seen putting his Derby credentials to the test in a trial. Of course, plenty was expected of Australia when he retired to Coolmore in 2015. Here was a horse out of champion Ouija Board who had been an excellent Derby winner with the speed to run third in a vintage 2,000 Guineas. With that in mind, it was natural to think that he would one day take high rank among all the sons of Galileo at stud. Installed at a first year fee of €50,000, Australia covered a big first book of 172 mares that year, among them 77 black-type producers. Included were several Coolmore heavyweights, notably multiple Group 1 winner Peeping Fawn, herself dam of Fillies’ Mile runner-up September; Rags To Riches, the first filly to win the Belmont Stakes in 102 years; 1,000 Guineas heroine Virginia Waters; and Circle Of Life, the Spinaway Stakes winner who later foaled top US two-year-old Circular Quay. The dams of Order Of St George, Coronet, Recital, Beauty Only, Guignol, Nightflower, Prince Gibraltar, Ridasiyna and Rekindling were also on his dance card. Melbourne Cup hero Rekindling was still ‘only’ a Group 2 winner by the time his Australia half-brother came under the hammer at Book 1 of the 2017 Tattersalls October Sale. Knocked down for 525,000gns to MV Magnier, Mayfair and Peter and Ross Doyle, he was the most expensive Australia yearling of a crop that came to average 152,279gns, and has turned out to be the aforementioned Sydney Opera House, who opened his season at Leopardstown on Saturday by running a distant fourth behind Broome - a stiffer test of stamina should suit him better down the line. So far, Australia has four black-type performers to his credit - Broome, Beyond Reason, Sydney Opera House and Western Australia - but a measure of his true potential can be taken by the number of promising maiden winners on the ground. The highly regarded Bangkok, for example, broke his maiden in fine style for Andrew Balding at Doncaster last month. He also holds a Derby entry as does Almania, the winner of his second of two juvenile starts at Sandown last August. Kosciuszko (trained by John Gosden) and Dark Lochnagar (Keith Dalgleish) also ended their light juvenile campaigns on a winning note. Among the fillies, it could also pay to keep an eye on the lightly raced novice winners Brassica (trained by Sir Mark Prescott), Lady Adelaide (Roger Charlton) and Elisheba (John Gosden) alongside those debut scorers Ardiente, Altair (Joseph O’Brien) and Lastochka (Roger Varian). In all, there is plenty of promise; now it needs to materialise into a bolder showing. 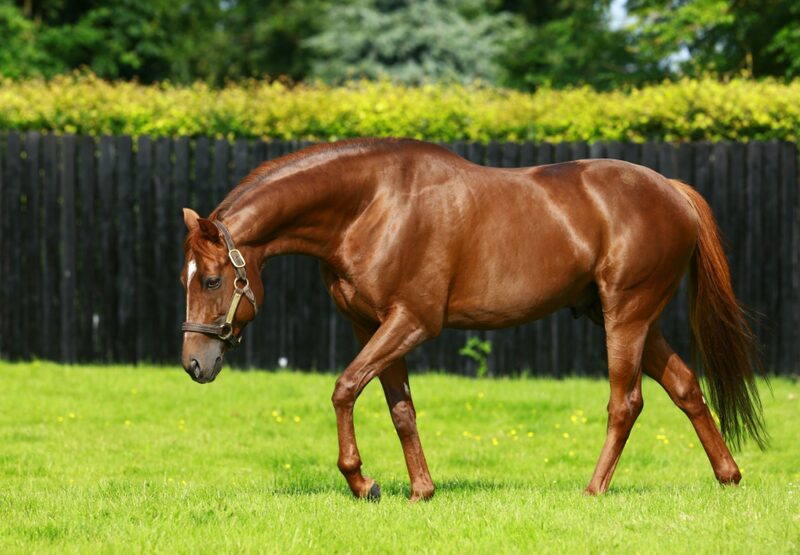 Breeders unsurprisingly have utilised Australia as a means by which to follow that tried and tested route of Galileo over Danehill, between them sending him 34 Danehill-line mares during his first season (another 36 foals in his second crop are out of Danehill-line mares). That same first book also contained four daughters of Acclamation, obviously a speed influence and now a noteworthy broodmare sire. Listed winner Sweepstake was one of those mares, as was the quick Lasilia, dam of Brassica. Fast mares have long played an important role in the Galileo story, and in the case of Broome, who is the best foal so far out of Sweepstake, there is an early example of Australia following suit. Trained by Richard Hannon snr, Sweepstake won her first two races as a two-year-old including the National Stakes over 5f. Following a disappointing showing in the Queen Mary Stakes, she returned to run third in the Princess Margaret Stakes before heading to America, where she won the Bedanken Stakes at Fair Grounds and ran a narrow second to subsequent Grade 1 winner Alwajeeha in the Grade 3 Appalachian Stakes at Keeneland. Sweepstake returned to Ireland in 2011 having been sold for $280,000 to Denis Brosnan’s Epona Bloodstock at the Keeneland November Sale. Broome is her best foal so far and has evidently inherited plenty of stamina from his sire. Sweepstake is the sole stakes winner produced by the Suave Dancer mare Dust Flicker. 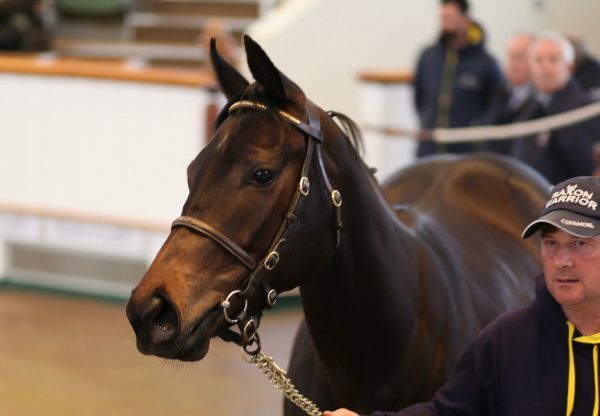 However, she is a sister to Group 3 winner Dust Dancer and therefore a member of that noted Hesmonds Stud line of Galaxie Dust also responsible for Claxon, Cassydora and Spotlight. Epona, however, has also delved successfully into the same family in recent years via Dust Dancer’s daughter Tyranny, out of whom they bred Zoffany. Indeed, Zoffany joined the roster at Coolmore in November 2011 just days before Sweepstake came under the hammer at Keeneland, his exploits still fresh in the memory. Now in Broome, it is a family that could be on the cusp of providing Epona with Group 1 rewards yet again.